Ao Nang Beach is the collective name for a group of bays, incorporating Ao Nang, Tonsai Beach, West Railay Beach, Phra Nang Beach, Phranang Cave, Laem Nang and East Railay Beach. Ao Nang’s limestone pinnacles physically define the borders of each beach, whose only access is by boat. The name Ao Phranang seems to have its origins in the villagers’ faith and belief in a sacred ‘Pra Nang’ (princess spirit) who protects the fishermen. The first impression travelers have on arrival is, if not the dramatic backdrop of the sheer limestone cliffs, the closeness of the islands in the bay. These islands have various rock formations, taking the shapes of a chicken’s head, a junk respectively. Local taxi boats are readily available to let you explore these attractions at a moment’s notice. Barely 50 m off the main beach of Ao Nang is a concentration of shops, travel agents, bars, restaurants, accommodation and other facilities. 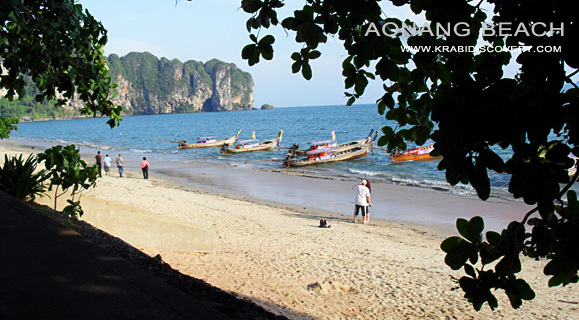 Its wealth of conveniences and rapid development have put Ao Nang into the spotlight as the tourist center of Krabi mainland. Like all international resorts, there is a buzz of excitement, with the feeling that there’s something happening 24 hours a day. 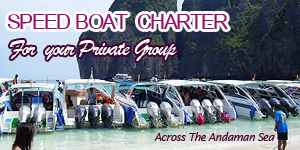 There are rooms and accommodation to suit nearly every budget and taste in Ao Nang. In the North, a mere 5 minutes walk away from the beach are Ao Nang Bay Resort and Spa and Ao Nang Pakasai Resort. 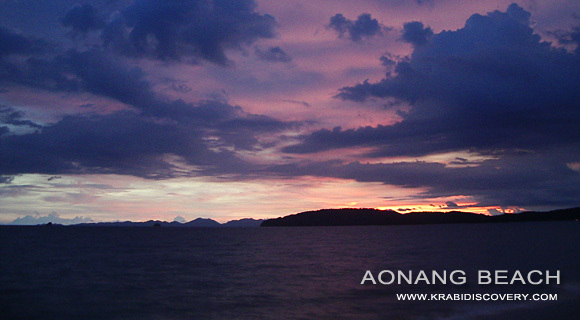 Nearer to the beach are Krabi Resort, Ban Ao Nang Resort, Beach Terrace Hotel and Ao Nang Sunset Hotel. 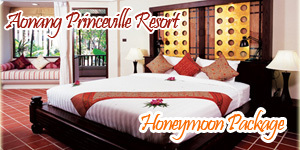 Centrally located on the beach to the South come Aonang Villa Resort and Golden Beach Resort. 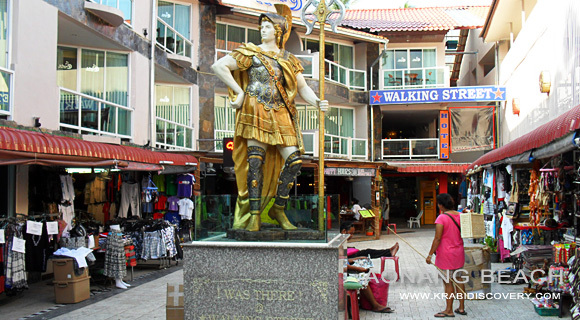 Finally, a short walk uphill from the beach road are the hotels of Ocean Garden View Resort, Peace Laguna Resort, Somkiet Buri Resort, Ao Nang Paradise Resort and Vogue Pranang Bay Resort and Spa. Further up the same road is Full Moon House & Resort. Recently, adding to the selections are Laplaya Resort, Alis Hotel, Buritara Resort, Areetara Resort, Anantaburi Resort, Amandari Resort and Red Ginger Chic. 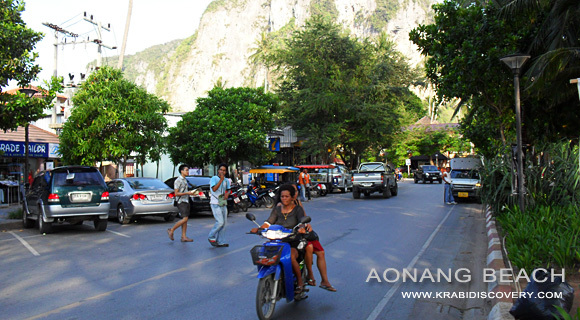 Limited space does not allow us to show a complete list of amenities in Ao Nang. The main things of importance are : currency exchange, ATM’s, various shops, self-drive vehicle rentals, taxi boats, various tours organized by land and sea, all types of travel agent services, include flight ticketing, all types of communication services, including telephone, email, and also a small post office. It is a 19 km drive from Krabi town. There are regular local buses (song taews) from 7 am to 10 pm, taxis at all times and plenty of self-drive rental vehicles. Centrally located on the beachfront of Ao Nang, Woodstock is well known for its quality beefsteaks and international menu. Sushi Hut & Grill serves European, Japanese and Thai dishes in a subtle, Thai style atmosphere. In recent times, Starbucks, Macdonald, and Swensen have also established their foot-hold.